Quinlan takes a sip and lets it roll around in his mouth for a moment. “Tasty, tasty. 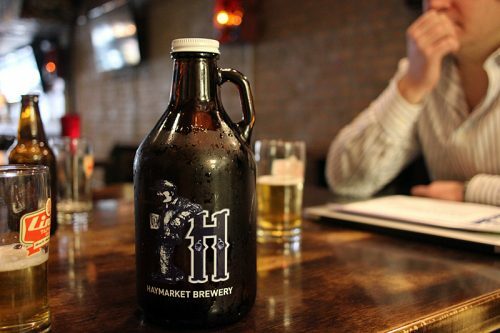 I’m getting a pitcher,” he says, abruptly getting up from the table. A pitcher to spit the beer into, is what he means. 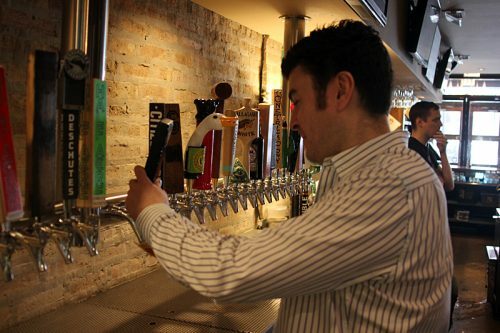 “If I start drinking whole beers, I’ll be drunk by 12:30,” he explains as he heads to the bar to grab one. 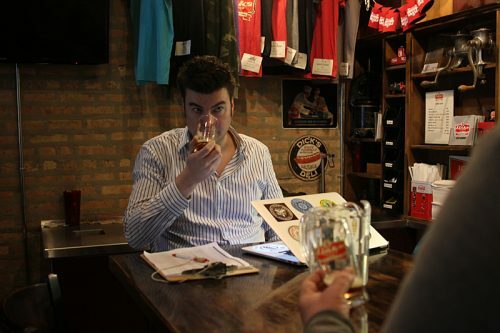 Spitting beer out in front of its maker isn’t rudeness—it’s par for the course when you’re tasting beer for your bar. 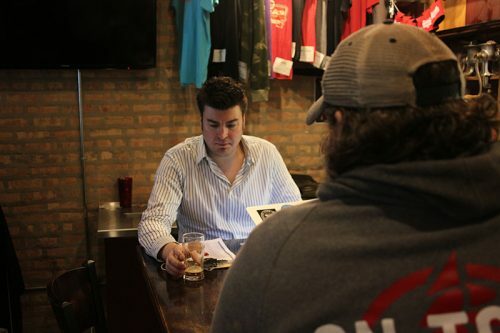 Every Tuesday starting when Links opens at 11 am, Quinlan basically holds open auditions for beer makers, and this time he’s letting me hang out as he tastes and negotiates for the 36 taps on Links’ video display board of beers, which is a veritable tour of the craft beer industry in the Chicago region and around the country. 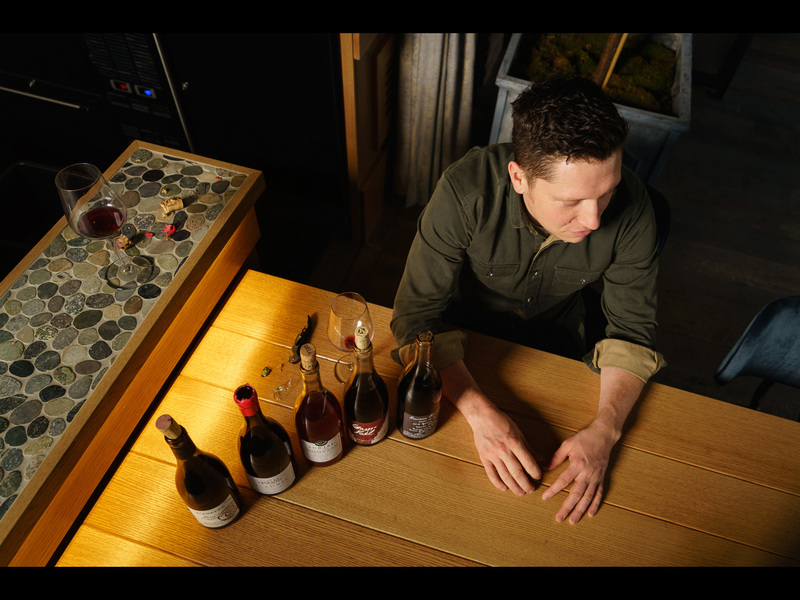 As Quinlan goes through the offerings from Haymarket, a couple of other representatives—they could be reps, they could be the brewers themselves—sit at the bar, waiting their chance. 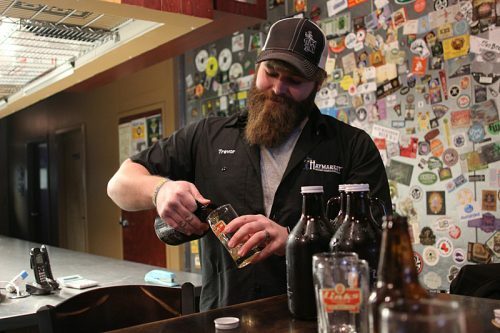 He introduces me to one sales rep for a self-distributed brewery, Tim Andrick of On Tour Brewing, whose ruddy red beard and satisfied beer-drinker’s shape make him look born to the part. 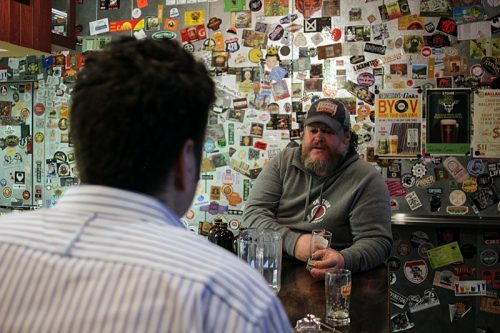 Links has only carried On Tour for a short time—it’s only existed since January—and Quinlan tells me Andrick will be a good choice to give me an idea of what it’s like trying to get a new beer into bars—like his. 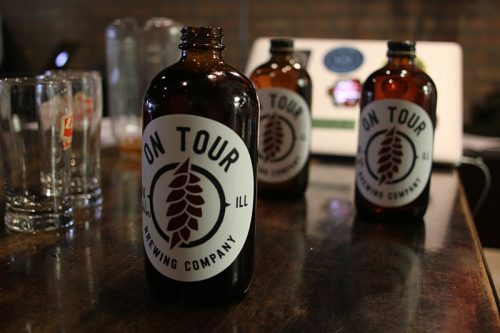 Tim Andrick, On Tour Brewing Co.
ON TOUR OPENED ITS BREWERY AND TASTING room right at the start of the year, in West Town. 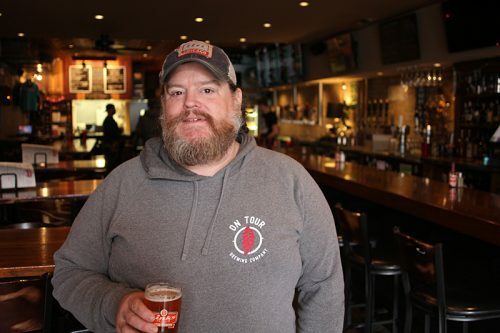 “It’s becoming a little bit of a brewery center—Goose Island is close to us, obviously, All Rise is right on Ashland there, behind us is Great Central, the contract brewer, they’re going to be opening a tap room soon, Forbidden Root’s right up on Chicago,” Andrick explains. First things first, I have to taste your beer. Just because your mom says you make good beer, doesn’t mean you make good beer. 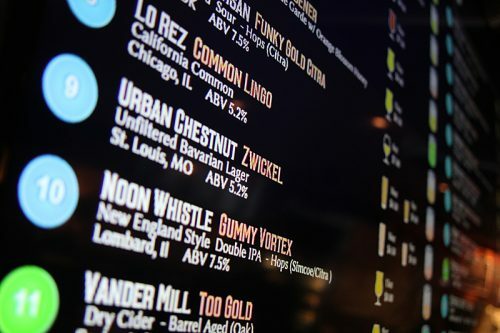 Besides a convenience over updating paper menus for 36 taps, this display makes a statement of what kind of a bar Links is—one devoted to showcasing American craft beer, and always on the hunt for new breweries doing new, good work. Quinlan first saw the video display system—and just as importantly, the attitude he wanted his place to convey—on a trip a few years ago to the Pacific Northwest. Quinlan gives it a taste. “A lot of rye in there,” he says. But Quinlan seems to be beyond talking the rye already. “You guys get such good resin out of your beers, it’s amazing,” he says. “Blows me away every time,” Andrick agrees. “I think the Galaxy [hops] gives it that kind of grassy note,” Andrick says. “Uhhhhh, I’ll taste it,” Quinlan says, with less than full enthusiasm. 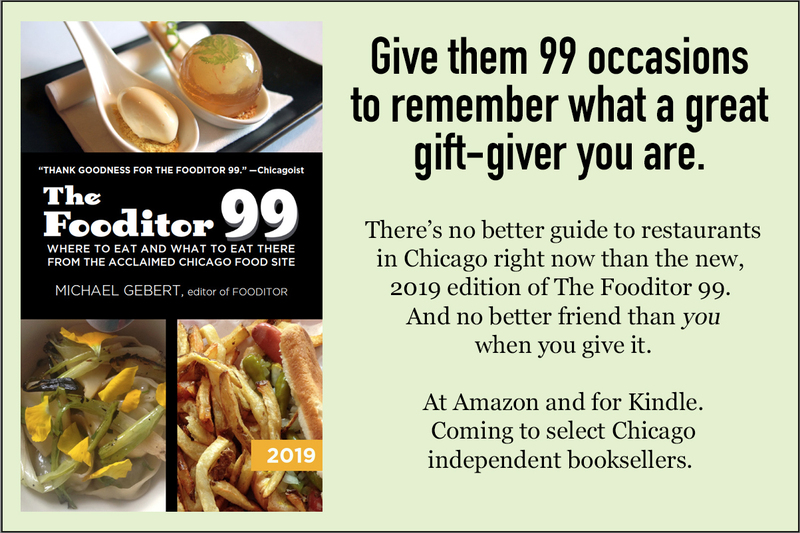 “It’s a big one, 10%, like a banana creamsicle kinda flavor, for grownups,” Andrick says. He pours it quickly as he talks, as if he suspects a window might be closing. 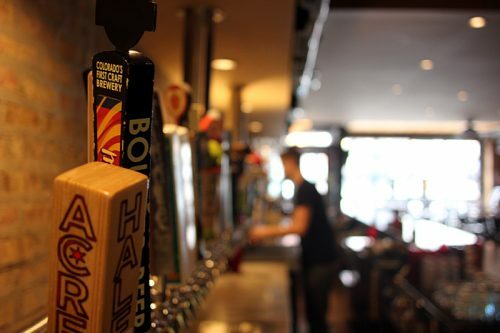 “Sure did,” the visitor says, plopping the can, Half Acre Vallejo, on the table in front of Quinlan, then turning around and taking his place at the bar. “10%. You get a little booziness on the back end, but the banana covers it up. It drinks too easy. 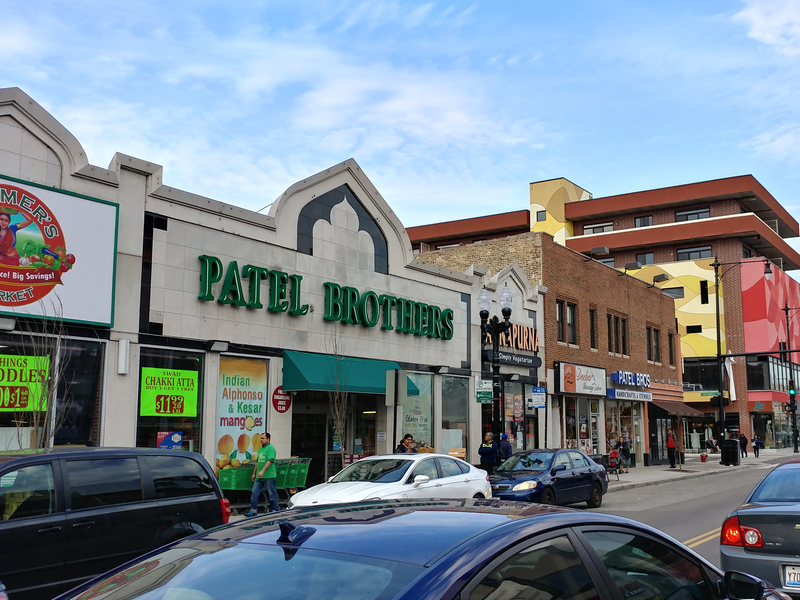 But yeah, it’s a scary 10, but I just wanted to get it back out there, where you’re at, I’m not sure,” Andrick says, uncertain if he’s making a sale or not. “I love it. I love having it out there,” Andrick says. “It’s something different,” Quinlan says, visibly excited by this latest addition to his bar’s very eclectic list. In the end, he takes both the Belgian and the double IPA. 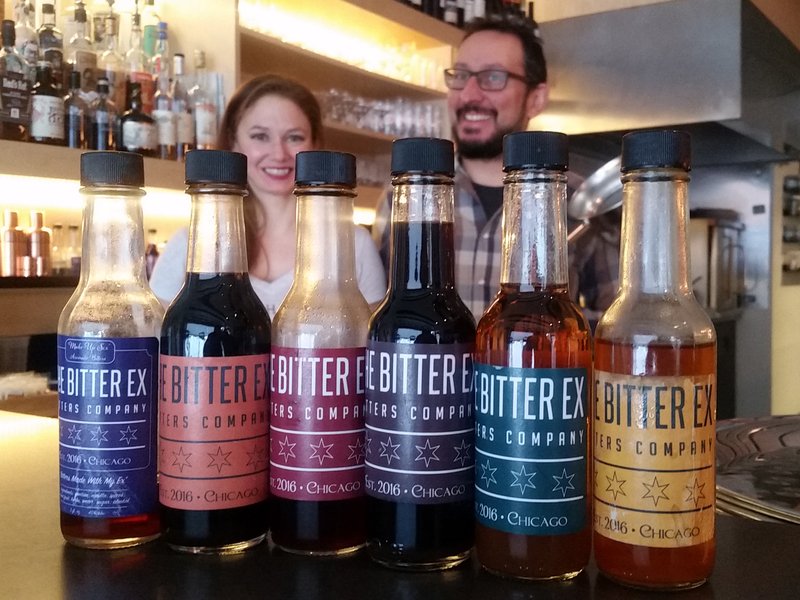 Quinlan has two new beers from a new name in Chicago—and On Tour has two of its beers in a bar where people find new beers to talk about. 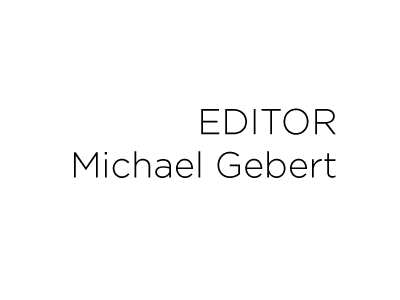 Michael Gebert is rarely over 6% ABV as editor of Fooditor.